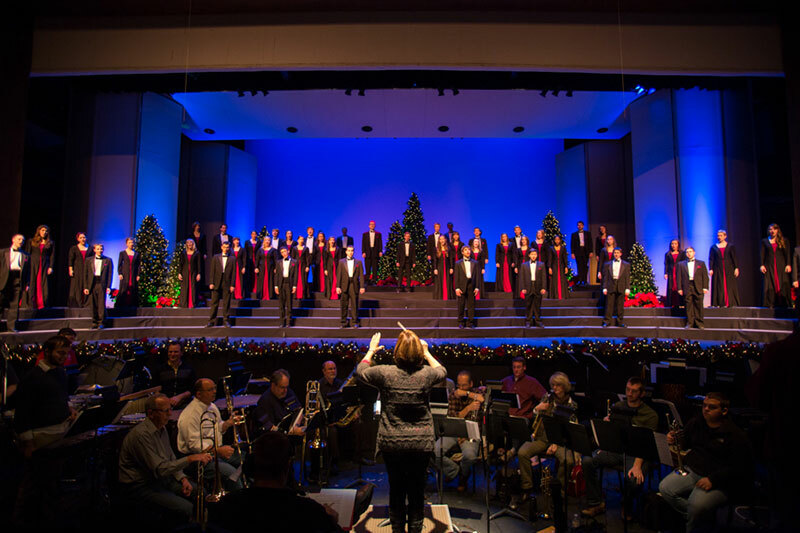 The 60th Annual Vespers will be held on Saturday, December 1 & Sunday, December 2 at 2 p.m. and 7:30 p.m. on both days at the Kirkland Fine Arts Center. Vespers is one of Millikin's most popular events, signaling the beginning of the holiday season with a sumptuous evening of carols, choirs, and candlelight. Over 300 musicians join together for this joyous musical feast. Songs from past centuries combined with familiar carols and arrangements create an evening of seasonal warmth for the whole family. Groups or 10 or more and other discounts available by phone or in person. Call the Kirkland Ticket Office and ask about our discounts and package deals! Ticket packages available for purchase now! Single tickets are available for purchase to donors of our Friends of Kirkland program, including Vespers! Please call our Patron Relations Manager J.R. Baird at (217) 424-3932 if you would like more information about becoming a Friend of Kirkland. Vespers single ticket sales will be available for purchase to patrons outside of our Friends of Kirkland program November 5, 2018. Parents of student performers in Vespers can buy regularly priced tickets now with the code (case sensitive) provided from their directors.